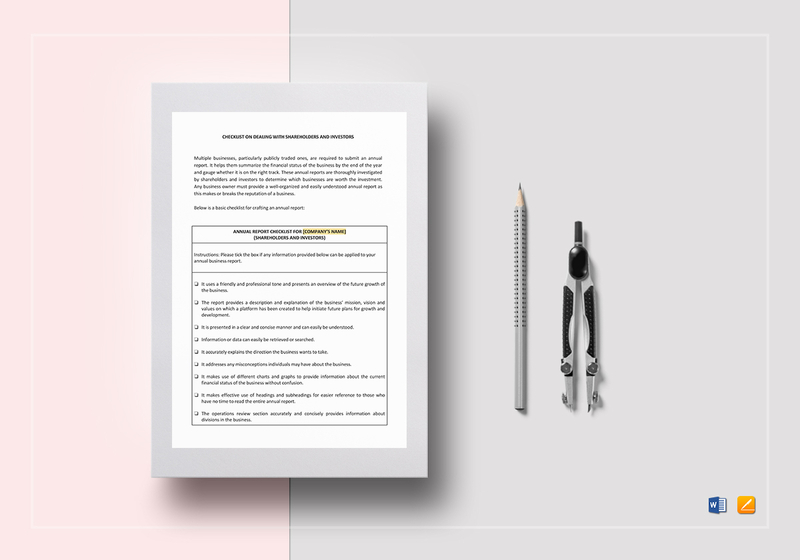 When looking for Checklist Dealing with Shareholders and Investors Template, use this fully customizable template that you can open and edit with your favorite app or program that supports MS Word and Pages file formats. Easily craft your checklist by replacing the yellow highlighted sections with your information and you are done. 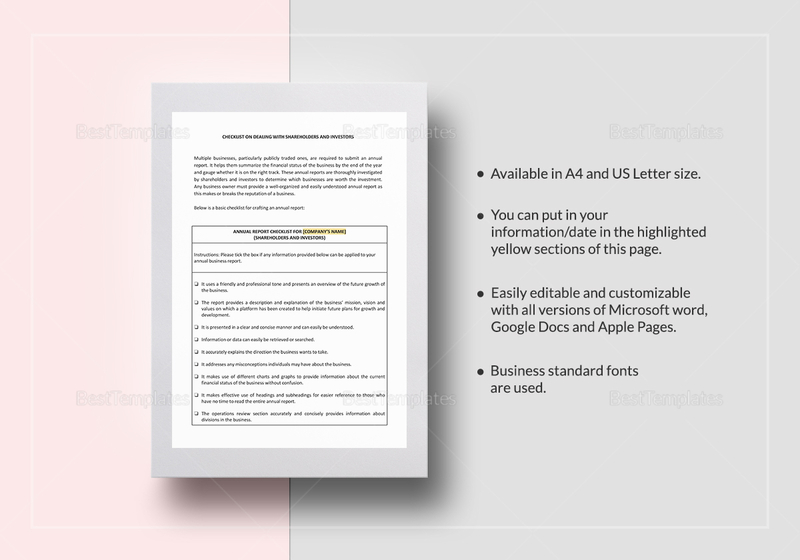 Download this template now to get instant access.